We are a Team of Professionals comprising of TALENTED DESIGNERS with CREATIVE and INNOVATIVE ideas who dedicatedly work towards transforming your vision to reality. Color templates provides decent and Quality website templates created by an expert & creative designers. 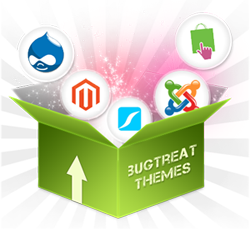 We are not only design website templates we design your imagination and dream templates which you never seen before now. Color Templates operates a global team of professional website designers and talented graphic artists who work all over the world, together they deliver our customers with superve quality designs.